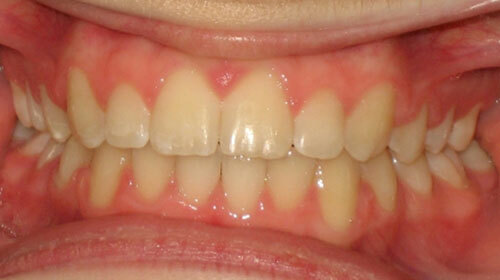 Spacing – Presence of spaces (gaps) that were closed. 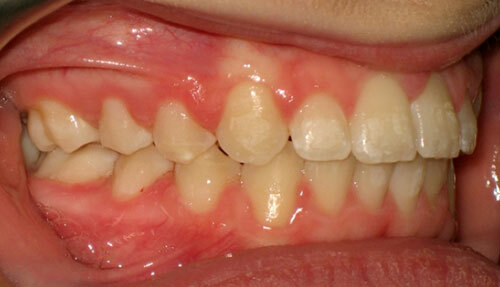 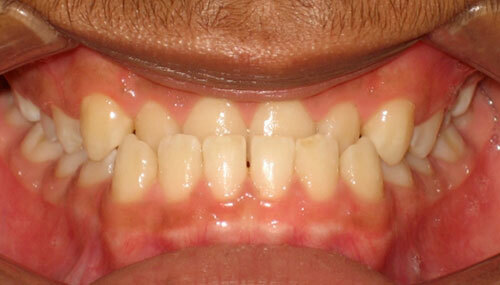 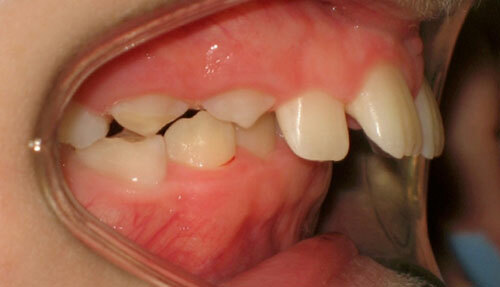 Patient also had an overbite (top front teeth vertically overlapping bottom front teeth) that was corrected. 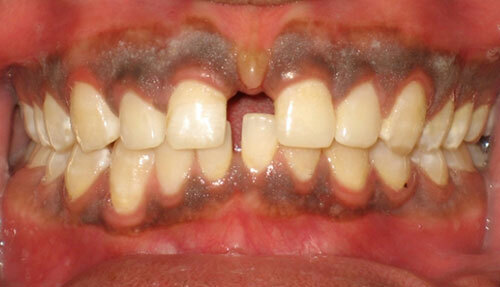 Overjet – Patient had a significant overjet (top front teeth protruding ahead of the bottom front teeth) that was corrected. 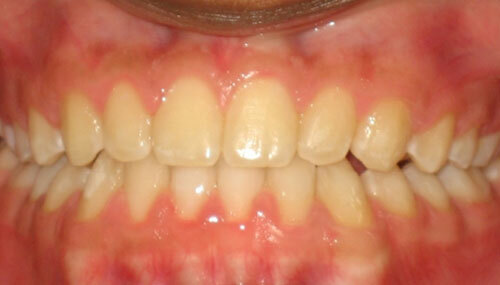 Overbite – Patient had an extreme overbite (top front teeth vertically covering the bottom front teeth) where the bottom teeth weren’t visible at all. 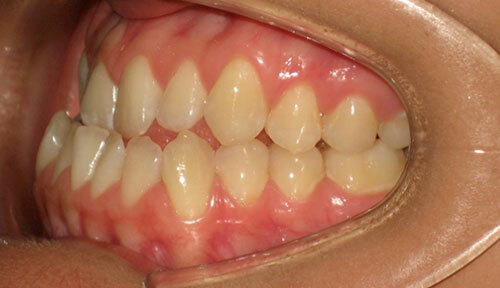 Bite was corrected to an ideal overbite relationship. 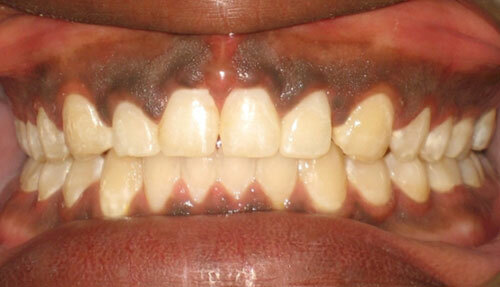 Open Bite – Patient had an open bite (top front teeth not overlapping the bottom front teeth where the tongue space shows) that was corrected. 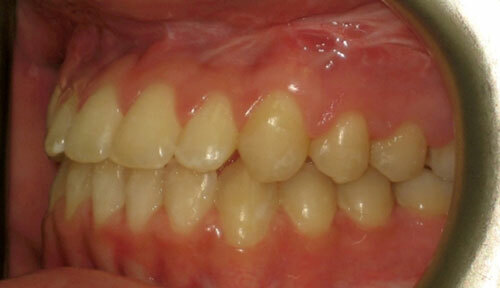 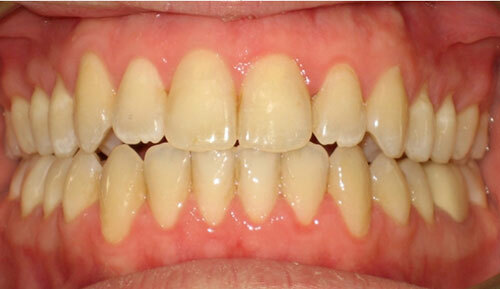 Crowding – Patient had significant crowding (overlapped teeth that don’t have enough space) that was corrected without extractions (removal of teeth). 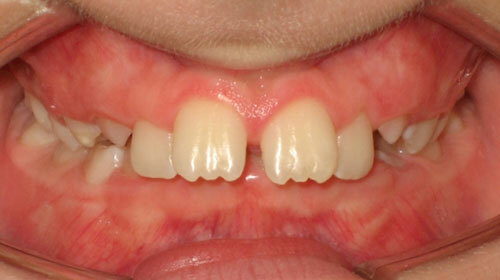 Anterior Crossbite – Patient had an anterior crossbite (“underbite” where the lower front teeth are in front of the upper front teeth) that was corrrected. 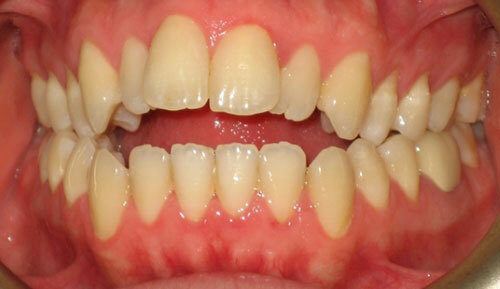 Anterior Crossbite (Surgical Correction) – Patient was an adult with an anterior crossbite (“underbite” where the lower front teeth are in front of the upper front teeth) that was corrected using a surgical procedure.